Several issues arise during the laboratory evaluation of CML. Some have already been discussed in detail above, and so are only briefly noted here. These include the expression of BCR-ABL1 in normal individuals, false-positive results induced by PCR contamination, particularly using nested PCR techniques, and false-negative results due to variant breakpoints. A variety of controls (positive,negative, and internal) are used for each test, whether qualitative or quantitative. RNA extracted from cell lines known to be positive and negative for BCR-ABL1 fusion are commonly used as controls. K562 is a cell line positive for the e14a2 (b3a2) BCR-ABL1 transcript, KBM-7 is positive for the e13a2 (b3a2) transcript, and SUPB15 is positive for the e1a2 transcript. For clinical testing, a simplex RT-PCR test should be able to detect one K562 cell in a background of 100,000 normal cells (10-5) and one SUPB15 cell in a background of 10,000 normal cells (10-4). 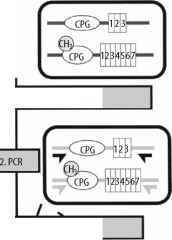 Although plasmids with incorporated BCR-ABL1 sequences also are available, these are rarely used in the clinical laboratory due to the risk of plasmid contamination of specimens or reagents. In any RT-PCR assay, false-negative results may be due to mRNA degradation, and therefore, an internal control transcript is routinely evaluated to confirm the presence of intact mRNA and absence of RT-PCR inhibitors. In qualitative assays, a variety of transcripts can serve this function, including ABL1, BCR, G6PDH, and B2M. In quantitative assays, however, the control transcript also serves as the standard to which the BCR-ABL1 transcript is normalized and should have a stable level of expression and approximately equivalent amplification efficiency to BCR/ABL1.Although ABL1 is used most widely as a control gene, BCR or GUSB are equally suitable; others, such as GAPDH, are now considered suboptimal. Recurrent cytogenetic abnormalities have been described in MDS, such as -5/del(5q),-7/del(7q),trisomy 8, and del(20q); however, these are not currently amenable to routine molecular testing since none of these has been definitively characterized at the molecular level.56 Some other recurrent, but rare, genetic abnormalities have been characterized at the molecular level in MPD,with two interesting breakpoint clusters at 8p1157 and 5q33,58 which generate constitutively active tyrosine kinase fusions (Table 35-3). Since MPD and MDS are clonal diseases arising from a hematopoietic stem cell, the determination of monoclon-ality can aid in the establishment of neoplasia (in an appropriate clinical and morphological context). 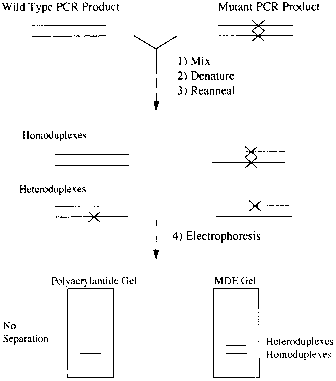 One molecular approach to clonality assessment exploits the physiologic process of X-chromosome inactivation in which one X-chromosome is inactivated in the somatic tissues of all females to compensate for unequal gene dosage compared to males.73 This inactivation process occurs by methylation of cytosine nucleotides in cytosine-guanine dinucleotide (CpG)-rich regions of DNA. In any cell population, this process yields random inactivation of maternal and paternal alleles, such that the ratio of methylated maternal to methylated paternal alleles approximates 1: 1. In a clonal population, one allele predominates and alters the ratio, providing a useful marker for clonality assessment. The human androgen receptor (HUMARA) assay is one such DNA-based PCR clonality assay. The human androgen receptor gene contains a trinucleotide repeat region that is polymorphic in more than 95% of individuals and is preceded by a CpG-rich region. Both methylation-specific restriction enzymes and methylation-specific PCR analysis using chemical modification with sodium bisulfite have been used74,75 (Figure 35-8). Nonrandom X inactivation is conventionally defined by a ratio that exceeds 3:1. Prior to the discovery of JAK2 mutations, quantitation of PRV1 mRNA was reported to have diagnostic relevance in PV and ET. PRV1 (polycythemia rubra vera 1) is a gene that encodes a hematopoietic cell surface receptor homologous to the neutrophil alloantigen NB1/CD117. Overexpression of the PRV1 mRNA has been detected in patients with PV as well as in a subset of patients with ET but not in healthy controls or in those with reactive erythrocytosis or throm-bocytosis.76 Curiously, PRV1 protein levels do not show this discordant expression. Nevertheless, quantitative RT-PCR for PRV1 may be useful in differentiating PV and ET from their reactive counterparts. *The association of mitochondrial mutations with MDS is controversial. liferative disorder;RAEB, refractory anemia with excess blasts;RARS, refractory anemia with ringed sideroblasts. Although our molecular understanding of non-CML MPD and MDS is far from that of CML, the recent identification of JAK2 mutations notwithstanding, molecular testing can contribute to laboratory evaluation. With more sophisticated technology (e.g., gene expression profiling) and continued investigation, it is hoped that the molecular pathogenesis of MPD and MDS will be delineated, which will result in improved methods for diagnosis and monitoring of these disorders. Ultimately, such molecular discoveries may result in an evolution from a clinicopathologic-based to a molecular-based classification of these disorders.